With gas and other energy bills so high, getting good value boiler maintenance is more important than ever. Regular gas boiler servicing ensures your boiler is safe and can help save money on your energy bills. You could save up to a quarter on your heating bills by replacing your boiler and heating controls. *Source: Energy Saving Trust. Based on a gas heated semi-detached house with 3 bedrooms and assuming a gas price of 4.03p/kWh. 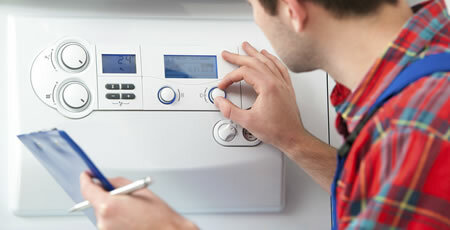 Costs for replacing a new boiler can vary in each house. It will depend on the type of boiler and system, the labour needed, whether the boiler needs re-siting in the home, or how much remedial work is required. From the recent boiler scrappage scheme, we estimate that on average a new replacement gas boiler costs around £2,500. A replacement oil boiler costs around £3000. Costs will vary considerably between each situation, so always get at least 3 quotes. Boilers are rated according to their efficiency in converting fuel to heat as a percentage. This rating is called SEDBUK – Seasonal Efficiency of Domestic Boilers in the UK. There are two SEDBUK rating systems, SEDBUK 2005 and the newly updated SEDBUK 2009. SEDBUK 2005 uses an A to G rating, A-rated boilers being more than 90% efficient. SEDBUK 2009 no longer uses the A-G rating but only displays the percentage efficiency. 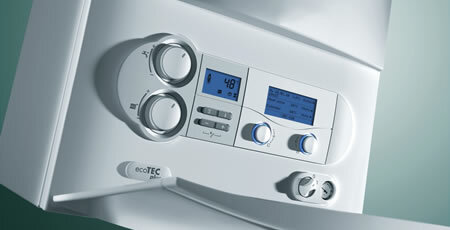 Under the new system a SEDBUK 2005 90% efficient A-rated boiler will be regarded as 88% efficient, according to SEDBUK 2009. This goes for gas, oil and LGP boilers. The 2% difference between SEDBUK 2005 and 2009 is mainly down to differences in efficiencies between using a boiler for space heating in the winter months and only using it for water heating in the summer months. The A-G rating will still apply if the boiler was tested under SEDBUK 2005, and should be made clear under what test standards the boiler was tested.New minimum efficiencies for gas, oil & LPG replacement boilers in Great Britain. Only A-rated boilers – rated at 90% or better – carry the Energy Saving Trust Recommended logo. We strongly recommend that any boiler or heating systems are fitted by an installer who is registered with a Competent Person Scheme. Please remember to keep any boiler-related certificates in a safe place. You’ll need them when you sell your home.